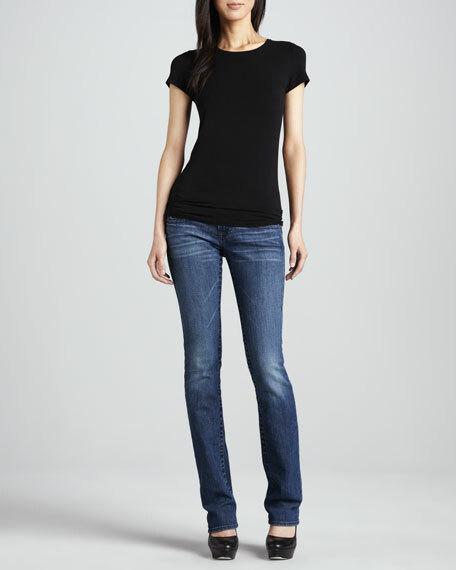 True Religion Billy jeans in Del Mar medium-wash denim with fading and whiskering. Approx. measurements: 6 1/2" rise, 33 1/2" inseam, 17" leg opening. Five-pocket style; True Religion signature horseshoe stitching on back. For in-store inquiries, use sku #285054.